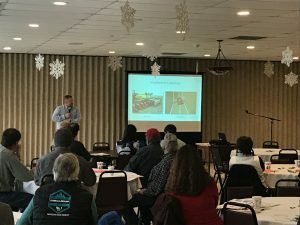 Highlights from the FWA’s 2018 Precision Agriculture Forum! 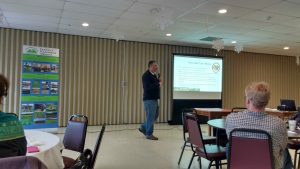 The Farmer’s Watershed Alliance hosted our first ever Comprehensive Precision Agriculture Forum on Friday, January 19th at the American Legion in St. Albans! There were 60+ attendees comprised of farmers, custom operators, government officials, members of fellow organizations, and community members. This event showcased the latest technology being used to plant seeds, fertilize fields, apply manure, harvest crops, and feed animals with a high degree of accuracy while recording valuable data which can be used to manage impacts on natural resources while maximizing return on investment. 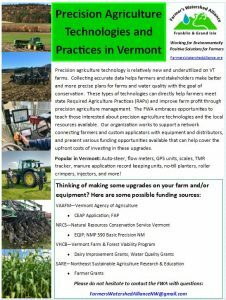 Precision agriculture technology is relatively new and underutilized on Vermont farms. Collecting this data helps farmers and stakeholders make better and more precise plans for farmers and water quality, with the goal of conservation. 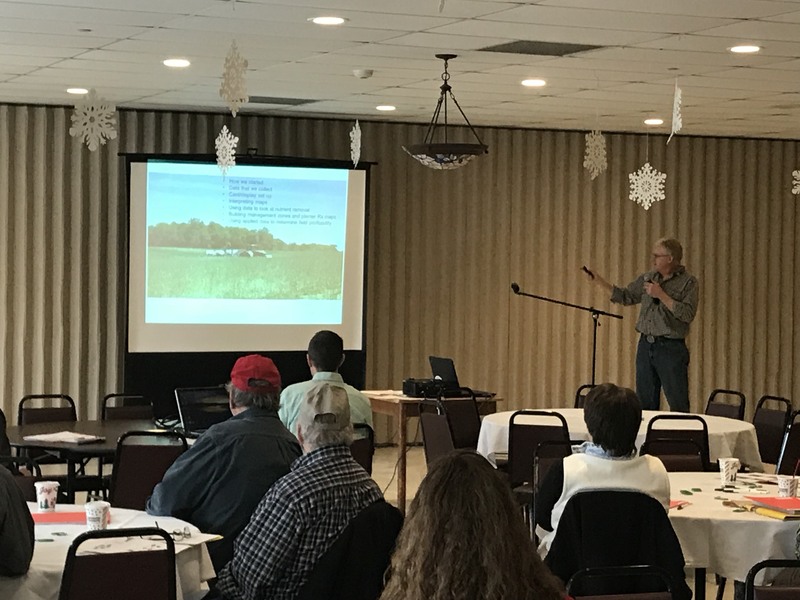 The presentations were directed at meeting water quality regulations and improving farm profit through precision agriculture management. We heard from both local and regional experts! The day began with a ‘Precision Ag 101’ presentation from Erick Haas of Cazenovia Equipment Co. in NY. 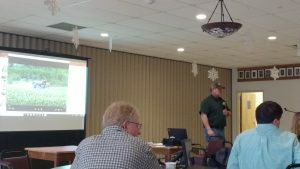 His presentation highlighted different technologies through each cropping practice; tillage, planting, crop care, harvest, and data management – as well as the economic value of these technologies. Next up was Dean James of Cotner Farms in PA, he is the Vice President of the Pennsylvania No-Till Alliance. His presentation focused on Cotner Farms’ story. They have roughly 30 years of experience collecting, interpreting, and applying reliable data through informed decision making and risk taking. After a brief lunch break catered by Dairy Center, we spent the afternoon with a series of shorter presentations. Savanna Crossman of Advanced Ag Alliance, NY presented on an ongoing project, ‘Optimizing Variable Rate Seeding in NYS’. Next we heard from four of our own FWA Board Members! 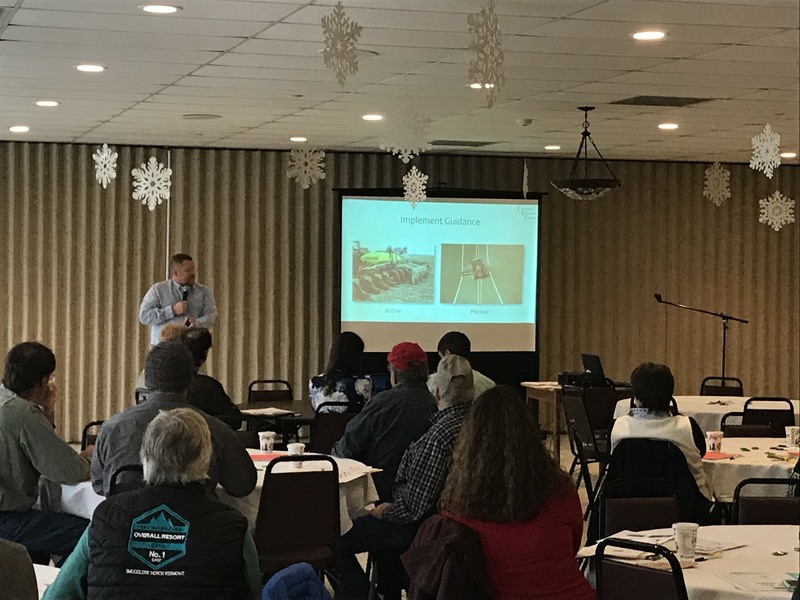 Scott Magnan of Scott Magnan’s Custom Service presented on ‘Precision Manure Management’ and showed the attendees an interactive view of an AgLeader GPS display as if you were in the tractor on a field! 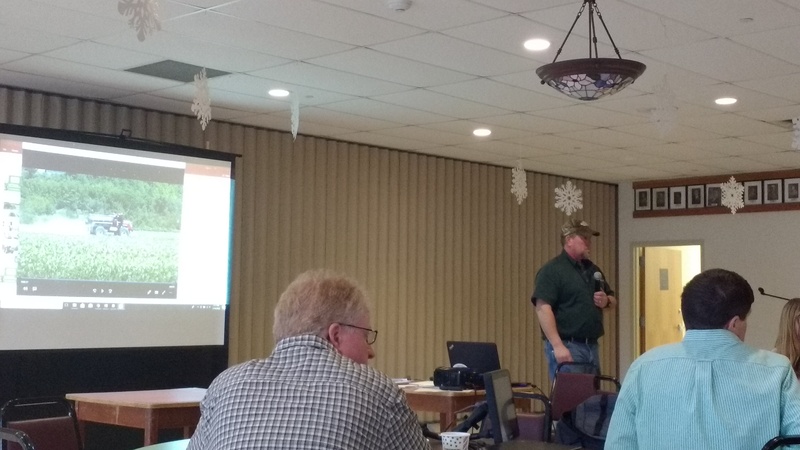 Tim Magnant of Bridgeman View Farm presented on his experience with precision ag from a small farm perspective, Larry Gervais of Gervais Family Farm presented on precision ag from a large farm perspective, Steve Hardy of L.D. 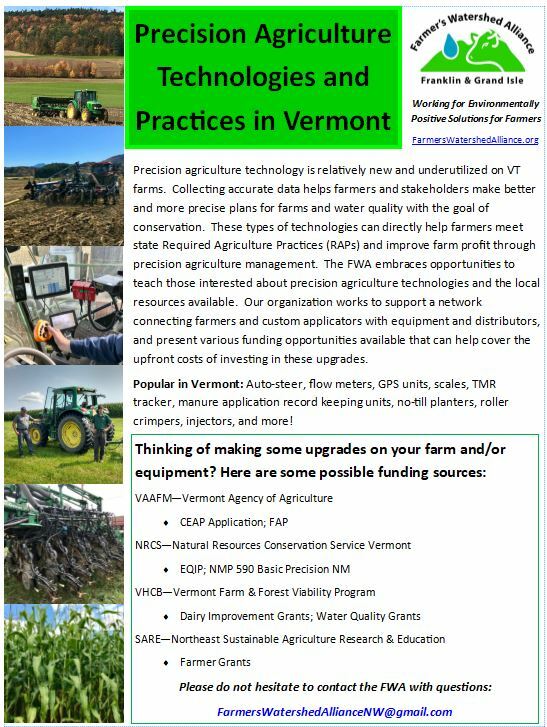 Oliver Seed Co. presented on precision ag from a custom operator’s perspective, and Jeff Sanders of UVM Extension presented on equipment/funding available in Vermont. Throughout the day informal Q&A’s were prompted and encouraged which gave attendees an opportunity to ask questions and discuss what they learned from the presentations. 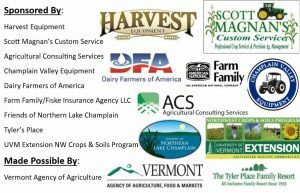 We would like to thank our sponsors, and everyone who came out and helped make the day a fun and informative experience! We hope to continue and expand this forum in the years to come. If you would like more information or have any questions, please do not hesitate to connect with us via email at FarmersWatershedAllianceNW@gmail.com!